I hope you are having a great weekend. Have just found out that world is discussing another creation of Tom Ford but today I would like to write about his boys. 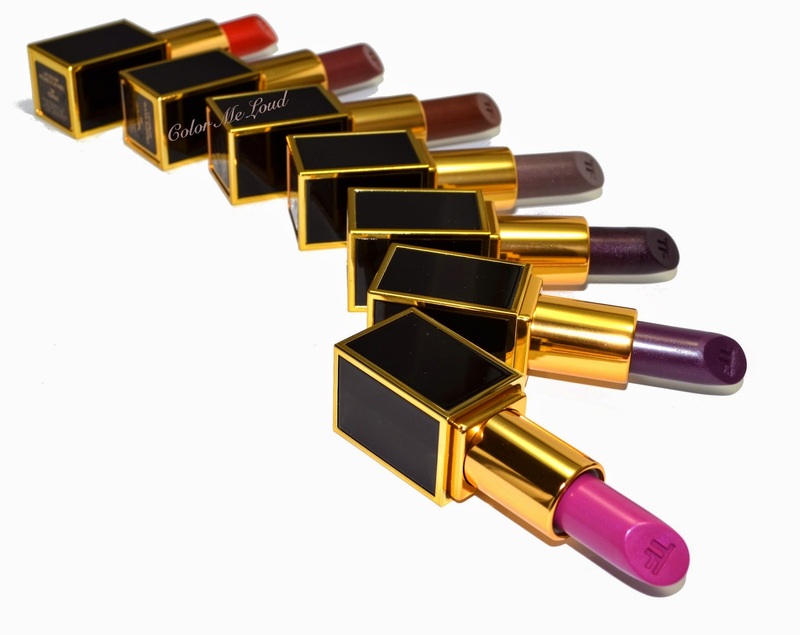 For the those who might not heard about it yet, Tom Ford released fifty clutch sized lipsticks in a collection called "Lips & Boys". Each lipstick bares a name of a boy. They are called clutch sized since they include 2 g of product instead of 3 g retailing for $32 instead of $50. The motto of the collection is "why take one if you can take two". Can't agree more so I went for seven *cough cough*, which will keep me very busy in the next couple of days. I just thought I would go ahead and post a few swatches for the record before I finish testing them properly. As soon as the boys arrived, I undressed them and thought, whoops, isn't there an easy one in there? I have purchased them during the first launch at Tom Ford Website, thanks to a dear friend who took care of that since website doesn't accept international credit cards. Looking there, I was trying to imagine how they would look on me. It is not easy without the swatches. These will be released on the 26. December at the stores and online in the states, great news for those of you who missed them. Also good news for Germany, we are getting them too! As soon as I know more about the time and the place, I will let you know. So back to my boys, they happen to be mostly vamps. After trying them out shortly, I can say that I love 6 of 7 on me, which is rather a high percentage given the fact that it was an sight and swatch unseen order. I still have a few on my wish list though. Those boys are addictive! Once you are making a decision, be sure to check out this post from Beautyscene because it lists the repromoted and renamed lipsticks. 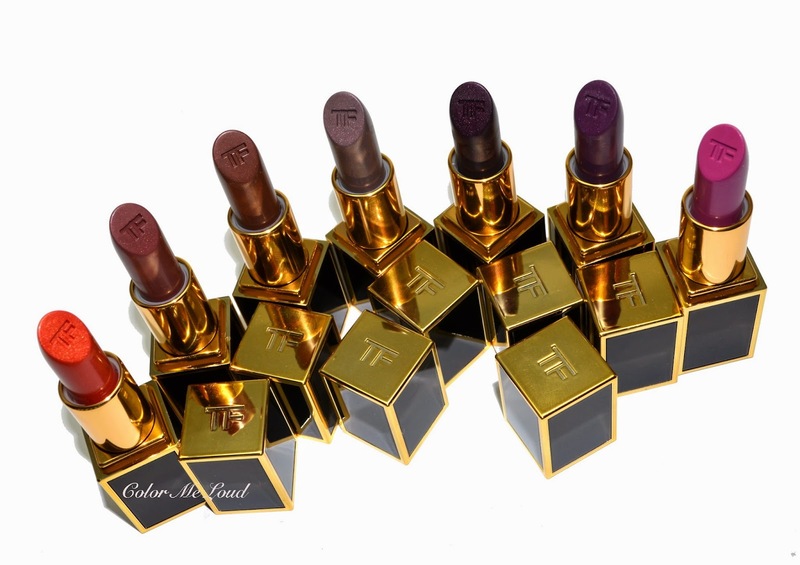 Since I own quiet a few Tom Ford lipsticks, it was super helpful. My (first) picks are Tomas, Guillermo, Gustavo, Stravros, Alasdhair, Liam and Jack. I am definitely drooling over Julian and a few more shades which I will be checked during the store release. Yes and no. The first time I undressed one of them and took it in my hand *cough again* I was like "no way this is so tiny"! The bullet is thinner so I was a little cautious not to break them during the application but they are thick enough for a winter month and it appears robust. I hope that they stay the same once it is warmer. On to swatches... I have briefly played with these and haven't tested them properly yet. Expect another post or two with lots of my face and notes about how they wear. For the time being this is all I got to offer. 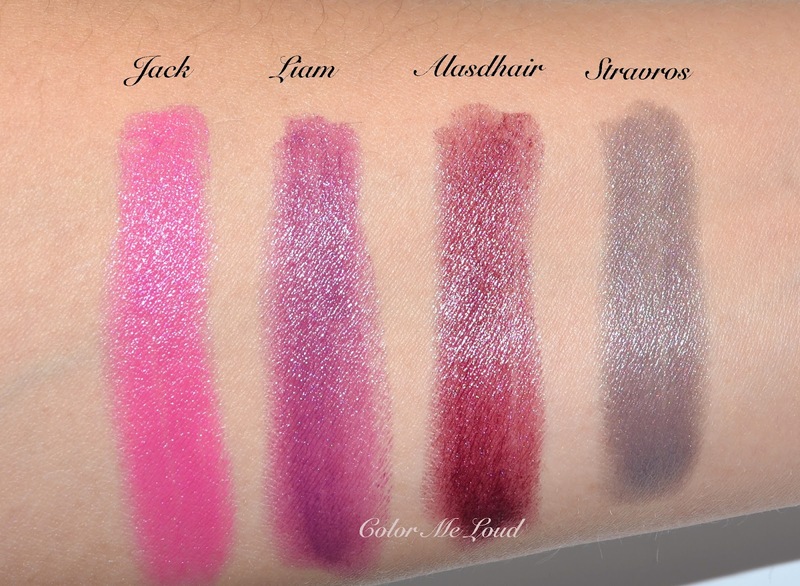 Jack is a mid-toned pink/fuchsia, I can see myself wearing it during upcoming Spring and summer. By the way talking about spring, you might have seen it, there are some serious amount of posts lined up from Spring Collections, so probably I will put Jack more to test than the others. Liam is my favorite boy within the ones I have here. It is a gorgeous wearable purple, which is not too dark. I can see myself wearing it in Fall, Winter and Spring with all kinds of eye looks. Alasdhair is a little less dense version of Black Orchid. If you missed that one, I go for it. It is a vampy berry, not too cool nor too warm, love. Stravros is one of the shades which is very unique, to any stash. It is a pearly (almost frosty) taupe with grey and purple undertones. Although on me everything turns purple, which one looks rather grey. Probably it is because it is swatched next to some other shades which are more purple. Stravros has a close look & feel to MAC's Viva Glam Rihanna II lipstick. I have compared them at Instagram, Viva Glam pulls more brown and it is frostier. Tomas is a gorgeous coral with gold pearl effect. It is another shade which doesn't look like any of my lipsticks. I love this one a lot on the lips. I have to admit I picked it up because it is the closest to my husband's name but no regrets here, it turned out to be one of my favorite boys. Guillermo is a deep plummy brown. It looks rather brown on my lips but since there is a certain berry/plummy direction to it, I can pull it off. It is a deeper plum than my plummy lips for last Spring. Gustavo, you are a mistake for me. Me and Gustavo, we can't get along all that well. He is too much of a warm soul for me and a little, older... Reminds me of those dark brown lip years... I might have to break up with Gustavo, but I might give him a last chance. As a teaser for the time being, this is me wearing Liam, one of the favorites from what I have picked up. On the eyes I have MAC Prabal Gurung Eye Shadow Duo in Terre and on the cheeks I have Tom Ford Ravish. The formula is comfortable. I applied it with a lip brush, blotted and applied again straight from the bullet. This way it lasts quiet long. 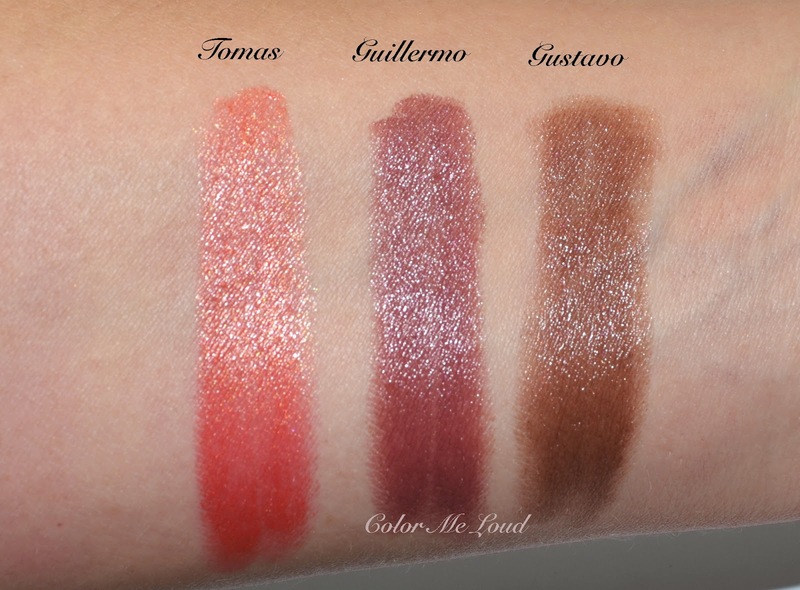 You can find them all swatched here and here at Temptalia. Also check out Gummy's post to see nine of the shades swatched under different lighting and Lola's epic swatcharama of all the shades. 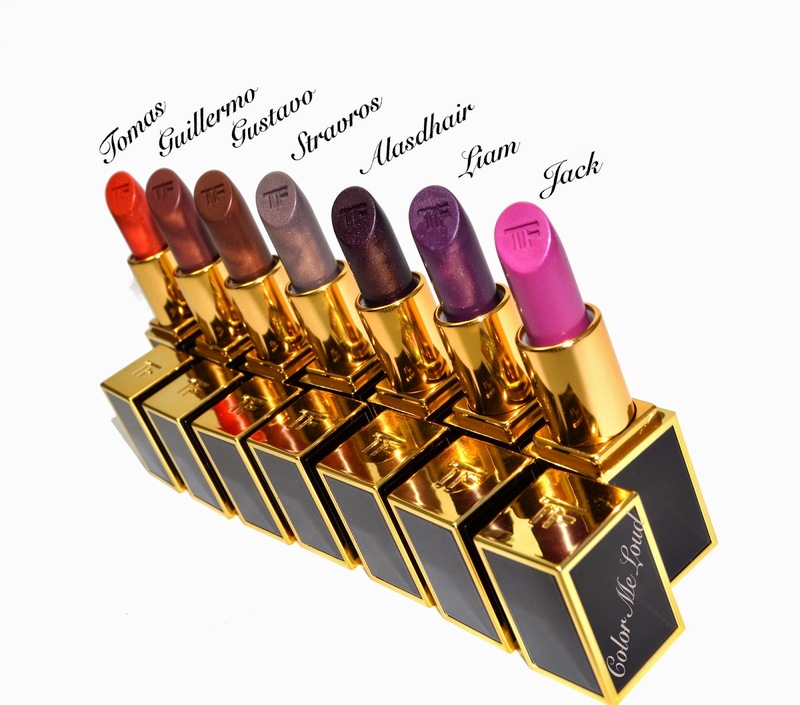 Here is also very helpful descriptions and swatches of all the shades at Linda's blog. Check out Hello Jaa for lovely pinks and nudes too. Have you picked up any of those? Which are your favorites? How do you find the idea of clutch-sized lipstick? Tomas is really nice, Alasdhair is nice if you don't have Black Orchid. I have swatched them side by side too, I will post it soon. hi sara!! oooh...i think you look gorgeous in your picture! i found swatches of lips with each color but, the ones i wanted were already sold out. i tend to gravitate toward nudes, light pink/peach, "office friendly shades". 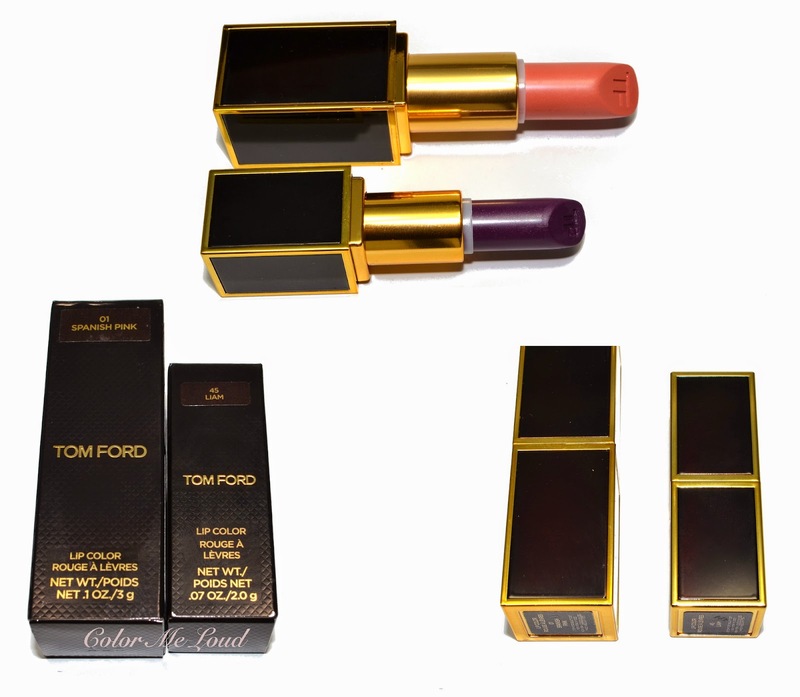 did you see the article where tom ford was interviewed about these lippies? he named the ones he said would be sold out...i can't find it now. anyway, if they're not sold out, nordstroms has the boys grouped in 3's. maybe i'll wait until after x-mas to find everything. anyway, the size of those lippies...(does that sound inappropriate)??? i just bought some pieces from chanel's spring collection. the rouge coco shines are 3g at $35. i love the color but, find it embarassing to take out of my purse. the camelia blush is $55 and is also 3g. some people love this and i think for tom ford's special collection it was kinda neat. i just am noticing that with the new year coming, everything seems smaller. i have a bag of makeup and it's in a small bag that could fit in a dollhouse!! well, i didn't mean to stray from the subject.....i just want to know what mr.ford has planned for us for his spring collection. i hope it's not too diminutive in size......xo. Straflos ist wirklich sehr eigenartig. Es wird aber schwierig damit zu schminken :-) Wie ca. 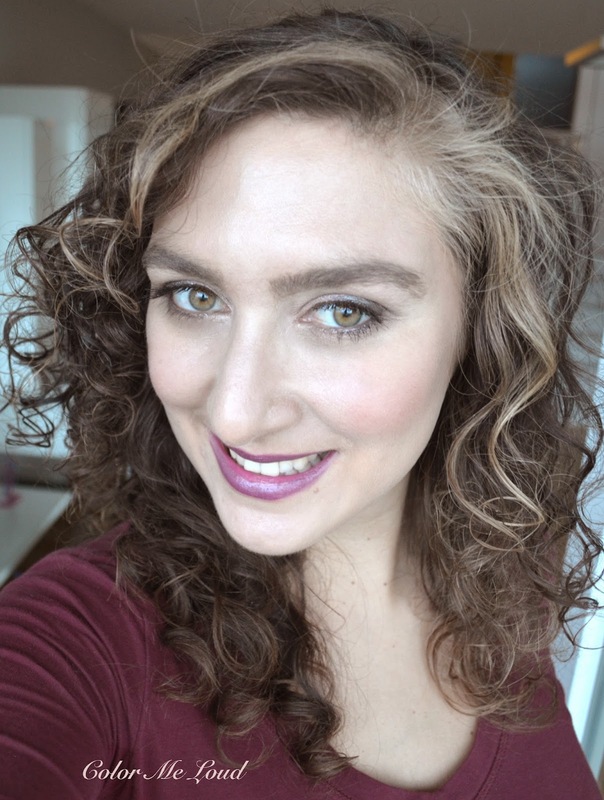 Viva Glam 2 von MAC, das ist auch schwierig. Giacomo ist auch sehr schön! Hahahahaa Sara!!! I laughed through your entire post!!! We like 'em big and thick!!! LMAO!!! On a more serious note, yes these tiny things do break, so please be super careful and maybe use a brush?